This evening (Sept 18) the Moon is in the middle of Capricornus and can still be used to find the double-double combo of Alpha and Beta Cap. If you observe a few hours after sunset, look towards the southeast to find Jupiter. 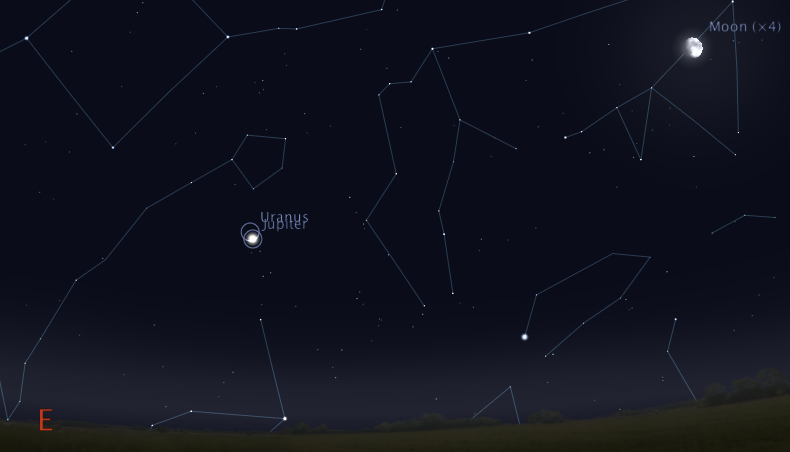 Over the next few days watch as the Moon closes in on the “King of Planets”.